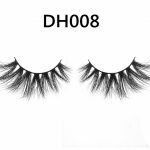 For girls who are not familiar with false eyelashes, they will be proficient in several trials, and false eyelashes can be reused many times. Normal false eyelashes are usually used up to 5-6 times. 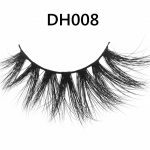 Of course, if your false eyelashes There is glue, or mascara and other cosmetics, it is best to wash it off immediately, so as not to affect the life of false eyelashes. For cosmetics that can’t be cleaned on false eyelashes, immerse them in makeup remover, rinse them with water, and store them in a cool, dry place. Overall, the harder the material, the less likely it is to be deformed and the more it can be reused. Conversely, the softer the material, the easier it is to deform and the fewer times it can be reused. 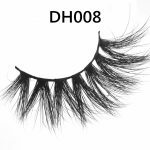 However, when removing false eyelashes, do not go straight to tear, because the false eyelashes are glued to your own eyelashes, and if you tear them directly, it is easy to tear off your eyelashes. And after a long time, it will also make the eyelids loose. Therefore, when removing the false eyelashes, use a cotton swab to apply a proper amount of eye makeup remover and gently rub it on the root of the false eyelashes. The false eyelashes will naturally fall off. When buying fake eyelashes, don’t try to buy cheap eyelashes. Otherwise, it will cause eye damage. If possible, try to wear false eyelashes as little as possible. Because the glue sticking to the eyelashes will block the hair follicles at the root of our eyelashes, causing sweat to fail. Excluded, making the eyelashes easy to fall off. In fact, in addition to the false eyelashes, there are other ways to make the eyelashes longer and more cocky. For example, use a cotton swab to pick up the overnight tea and apply it to the root of the eyelashes, once in the morning and evening. You can also use a cotton swab to take the solution in the vitamin e capsule, so that the eyelashes can fully absorb the nutrients and promote the growth of the eyelashes.